SINGAPORE – Mention the construction industry and some may think of hard hats and boots, but there are plans to encourage innovation by providing more training in areas such as virtual design and construction. 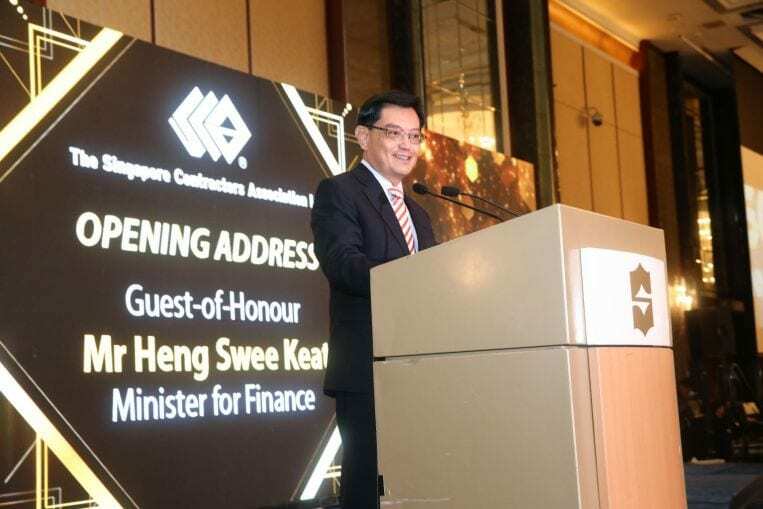 This was one of the measures announced on Thursday night (Sept 13) at the annual dinner of the Singapore Contractors Association Limited (SCAL), whose members have together built more than 75 per cent of Singapore’s buildings and infrastructure. The association, which now has about 3,000 members, also plans to showcase new construction methods and technologies at a proposed construction hub expected to be built in the next three years. At the dinner at Shangri-La Hotel, SCAL president Kenneth Loo told around 800 guests that the association planned to bring the industry forward by enhancing adult training courses under its training arm, SCAL Academy. There will be more training available in digital technology and innovation, in areas such as Design for Manufacturing and Assembly. At the dinner held in conjunction with its 81st birthday, the association also launched the SCAL Safety Awards to recognise subcontractors registered under the Singapore List of Trade Subcontractors for good safety records. The first awards will be given at SCAL’s annual dinner next year. These will give recognition to registered subcontractors that have shown commitment and dedication in advocating and raising workplace safety and health practices and standards in their organisations, Mr Loo said. The association had last year announced its plan to develop a construction hub to bring together its training facilities and showcase new technologies. At the hub, SCAL will also provide services such as business helpdesk and networking. Mr Heng gave the example of Building Information Modelling, a technology that can be used to plan and optimise fabrication processes of building components. “The construction process can be virtually mapped out to identify potential conflicts before actual work is started on site. These can translate into time and cost savings,” he added. Mr Heng also urged firms to build new capabilities to stay relevant and competitive.